Prof Wossink's research interests lie at the intersection of environmental, behavioural and public economics and she has published extensively in this area. She has been actively involved in over 25 externally funded multidisciplinary research assignments in past and current positions in Europe and the US and has coordinated several of such projects. She is the recipient of a 1994/95 J. William Fulbright Foreign Scholarship and was awarded the 2004 North Carolina Extension Education Team Award for the quality of her interdisciplinary knowledge transfer activities. With colleagues in Geography, Philosophy, Psychology, Ecology and Arts, Languages & Cultures she is currently participating in the NERC/AHRC/ESRC funded project GHIA: Green Infrastructure and the Health and Wellbeing Influences on an Aging Population. She also contributes to a consortium with Brunel and Birmingham Universities that won a £7 million grant to establish the Centre on Sustainable Use of Energy in Food Chains and co-leads on the socio-economic research of this centre. From 2014, she is an editor of the European Review of Agricultural Economics (Oxford Univ. Press). She served as a Professional Research Fellow of the Sustainable Consumption Institute at the University of Manchester Sept 2010 - Aug 2013. As the lead economist she contributed to three interdisciplinary projects for the US-Department of Agriculture on changes towards more sustainable farming practices. 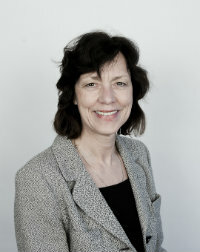 During 2004-2007 she was the leader of an USDA-SARE funded project onSustainability indicators as management tools to guide farmers, scientists, policy makers and the general public. She has served on the research review panels for: the U.S. National Institute of Health, the Research Council of Norway, and the U.S. National Academy of Sciences.